Tonight's post is incredibly bittersweet for me. 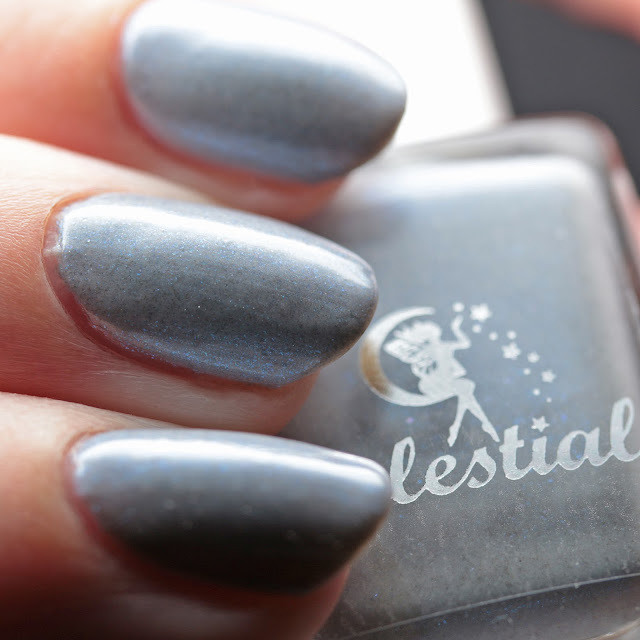 Sweet, because Celestial Cosmetics has just released six more gorgeous shades as part of the Greek Goddesses Collection. Bitter, because it is the last release from the brand, after five wonderful years in business. I am heartbroken - there is no other way to put it. 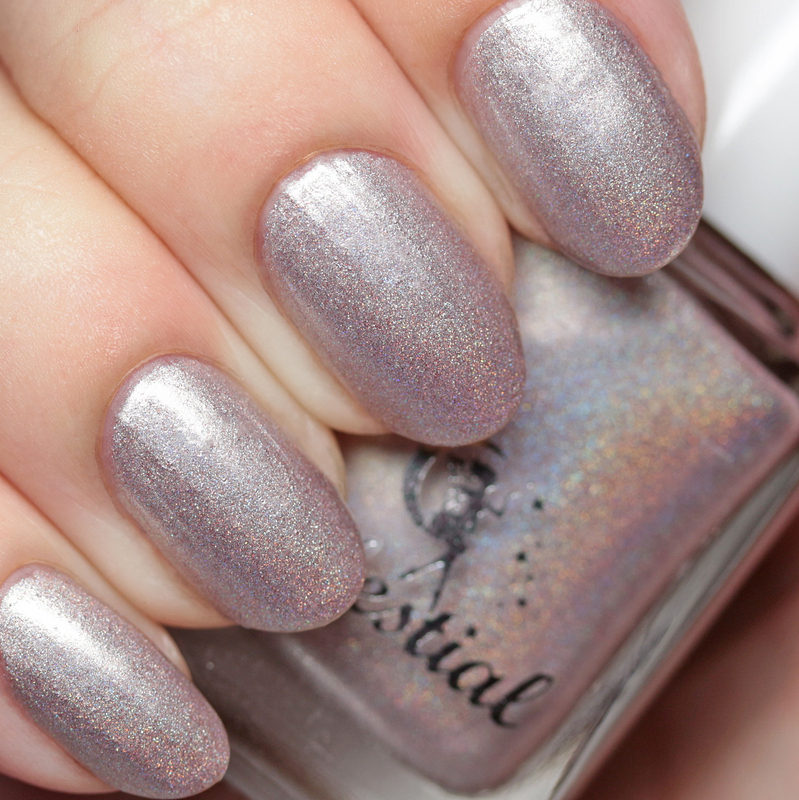 Celestial Cosmetics has been one of my favorites since I made my first purchase in the fall of 2013. The quality and creativity has been consistently amazing over the years and I treasure all of the polishes I have from Nicki. It is a hard time for Australian indies - Glittering Elements, another of my main indie squeezes, also has just had to shut down. Mainly, the change in Australian post not allowing direct polish shipments out of the country has made doing business internationally a huge challenge. The added costs and complications of having to make group shipments via DHL has necessitated three-part shipping and U.S. distribution costs that make it hard to stay afloat, especially when most of the brands have simply absorbed the added cost rather than pass it along to us. All I can say is, please support the Australian brands you love - it makes all the difference in the world! 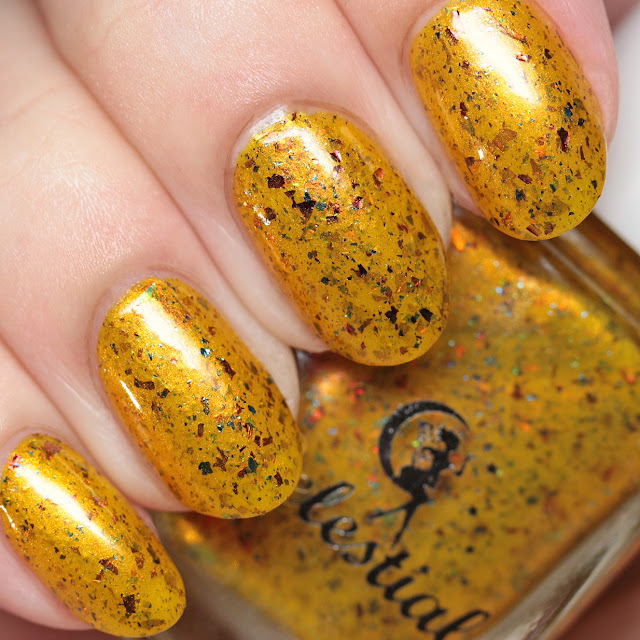 You will still have through the end of the month to pick up some amazing polishes from Celestial Cosmetics' international store, including the best neon holos I have ever tried and some lovely shimmers and multichromes. 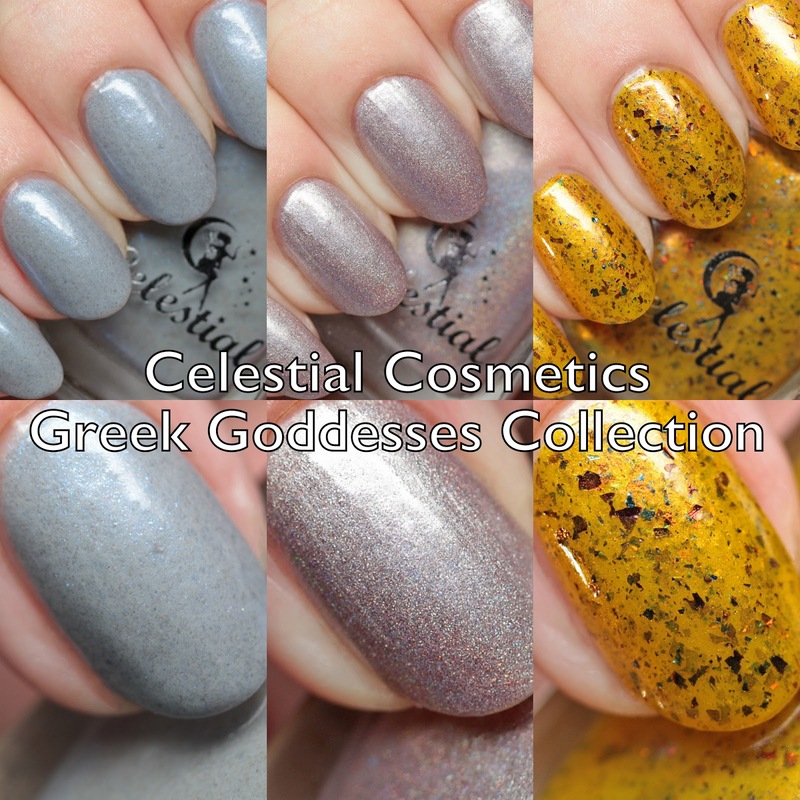 I have half of the newest Greek Goddesses Collection to share today. 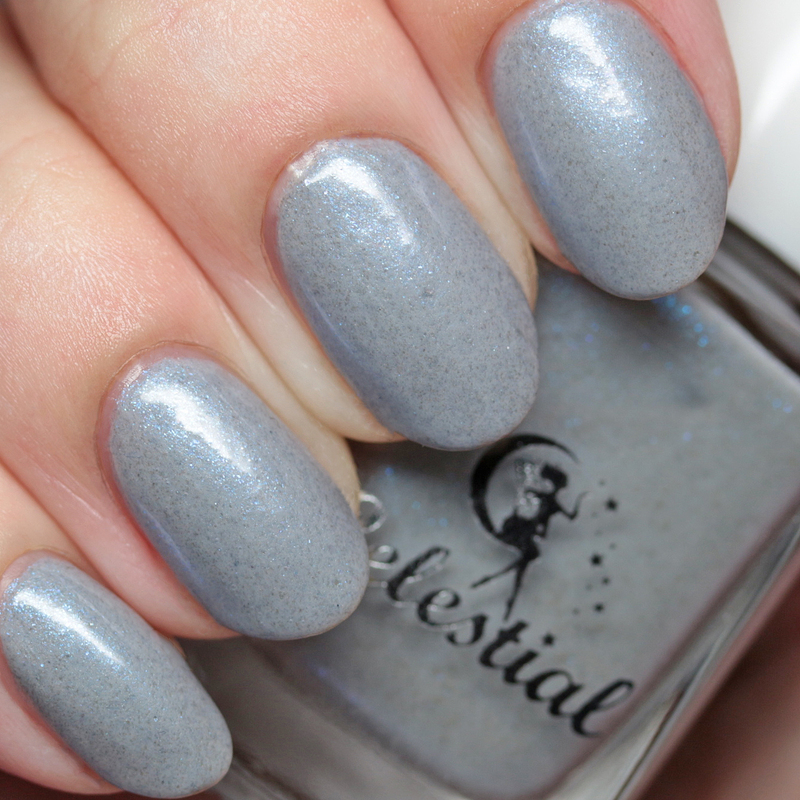 Celestial Cosmetics Aphrodite is a dove gray with blue microflakes. It covers in two or three thin coats and has a medium dry time. I love the softness of this shade. 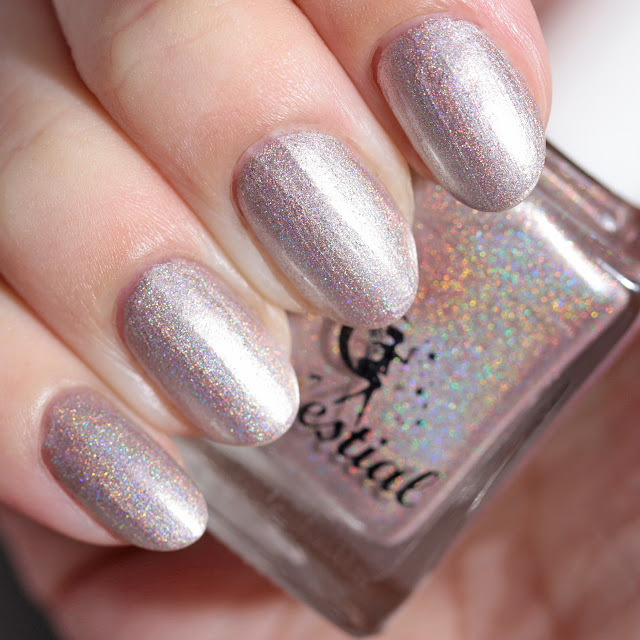 Celestial Cosmetics Athena is a cool champagne shimmer/metallic linear holo. It has some brush strokes, but they mostly smooth out as the polish dries. 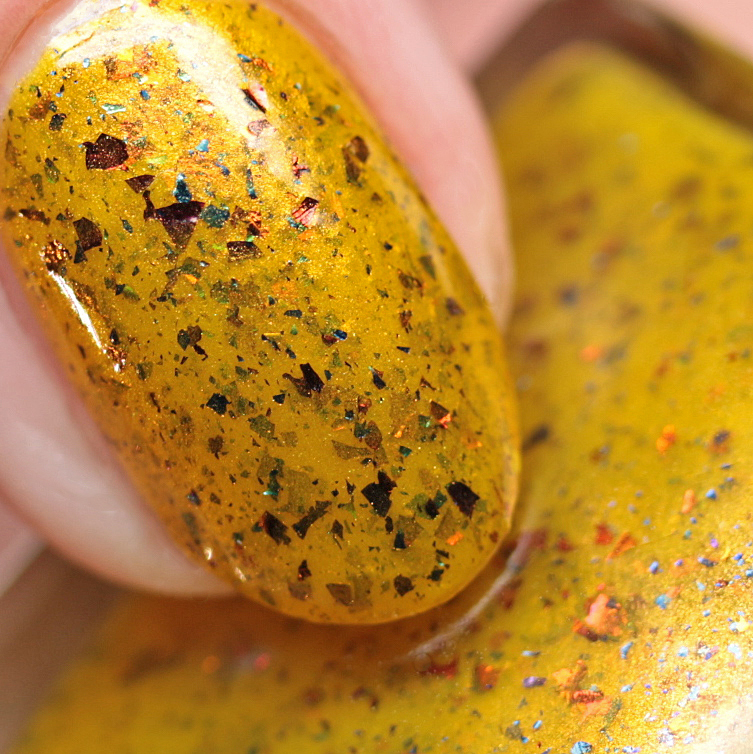 I wore this polish in two thin coats - it is nicely opaque. Medium dry time and I recommend thin coats for the smoothest look. Celestial Cosmetics Gaia is a stunning golden poppy yellow shimmer with slight shift to orange, with blue/purple and orange/green multichrome flakes. 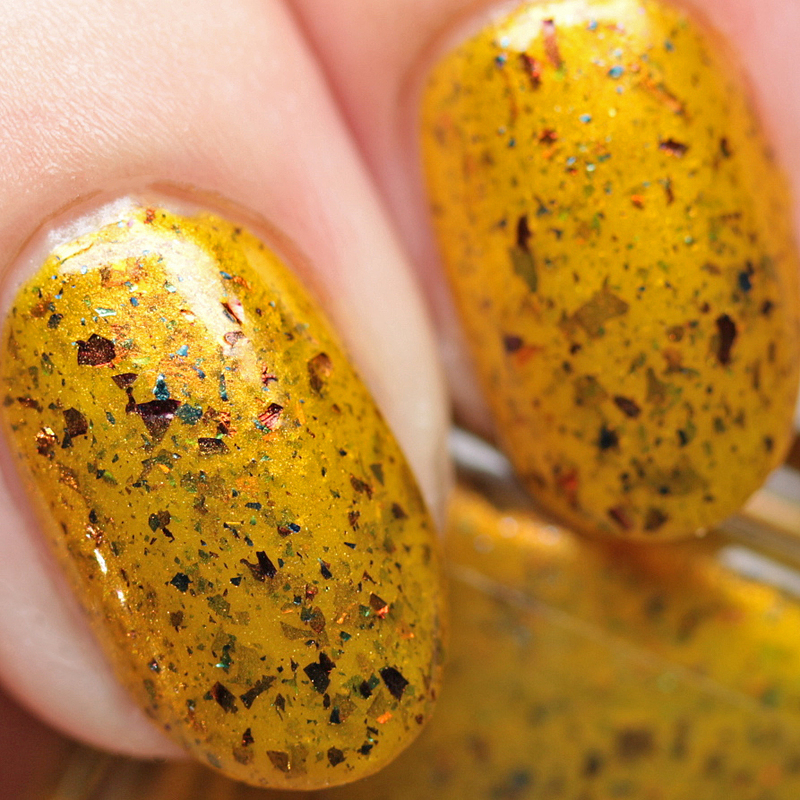 I wore this in three thin coats to get a lot of flakes, but two coats will do. Nice formula and medium fast dry time. The Greek Goddesses Collection is available right now in both the Australian and international shops. I will be back tomorrow with three more shades from the collection. Be sure to check out the shop while you can! Do you have one here you like best? Celestial Cosmetics is made by Nicki in Australia. 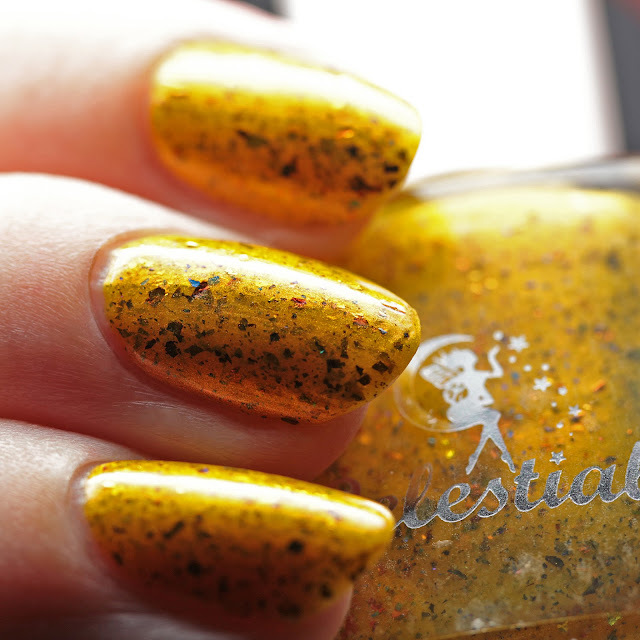 The line not only includes beautifully crafted holos, shimmers, cremes, and glitters, but stamping polishes.